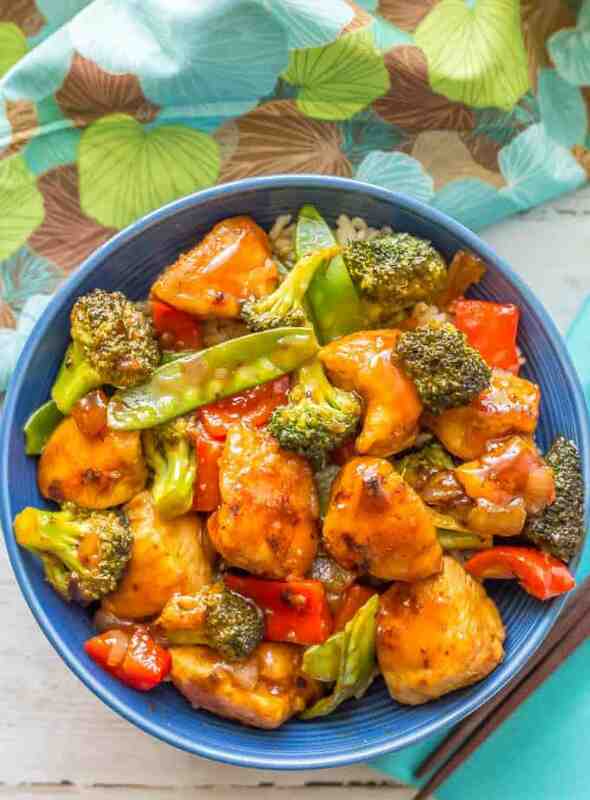 Easy sweet and sour chicken with vegetables is a one-pot meal that’s ready in 25 minutes and features a 5-ingredient, 5-minute homemade sweet and sour sauce. 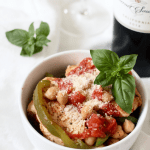 It’s perfect for a quick and easy weeknight dinner! J turns 5 today and I am just amazed by that. Amazed that it’s been 5 years since he was born, amazed that I’ve watched him grow into the wonderful, sweet, adorable kid that he is today, and amazed that my youngest is now 5. How in the world?! Moving on… earlier this week I shared my homemade sweet and sour sauce, which is just 5 ingredients and 5 minutes to make. Talk about a great takeout fakeout! 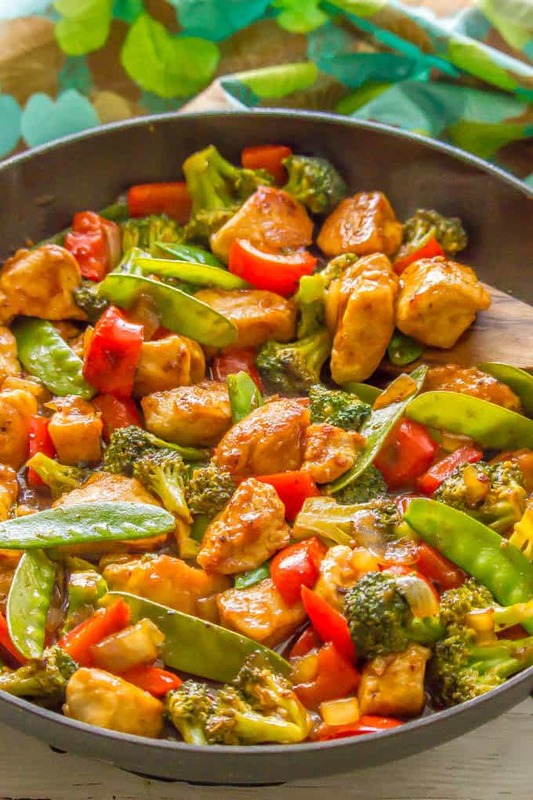 And now we’re putting it to good use with this healthy, easy sweet and sour chicken with vegetables recipe. It’s great for an easy weeknight dinner that’s got major flavor and all kinds of pretty, colorful veggies! 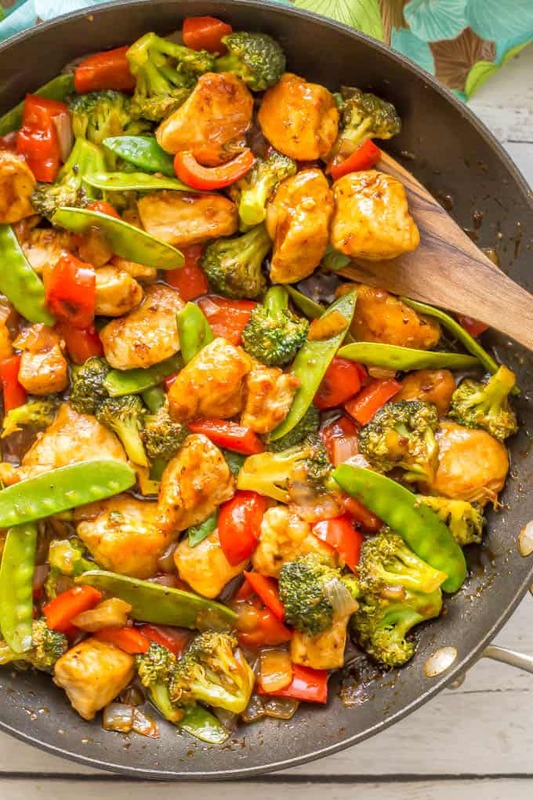 Plus, you can customize this stir fry to use the veggies your family loves best. You’ll need to make the sauce ahead or work on it while the veggies are sautéing. 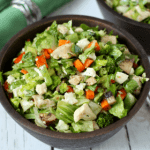 Feel free to substitute in any of your favorite veggies that you love in a stir fry. Mushrooms, carrots, water chestnuts and those cute little baby corn ears would all be great here too. You’ll want about 3 total cups of veggies. 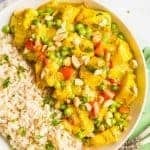 I haven’t included it in the recipe below but you can certainly make this sweet and sour chicken with pineapple. Just add some cut fresh pineapple chunks at the very end to get them mixed in with the sauce. 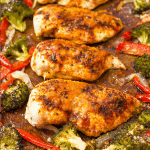 Psst… Don’t miss my other chicken recipes in under 30 minutes and my whole collection of easy chicken dinner recipes. 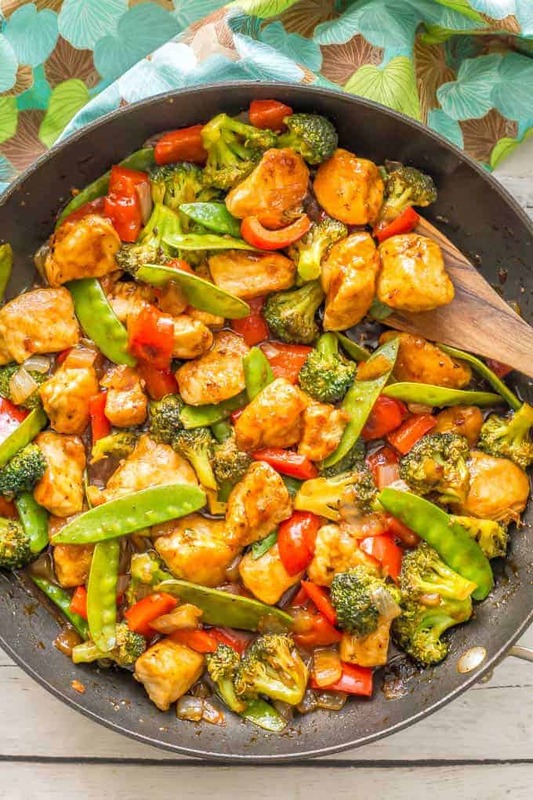 Easy sweet and sour chicken and vegetables is a one-pot meal that’s ready in 25 minutes! 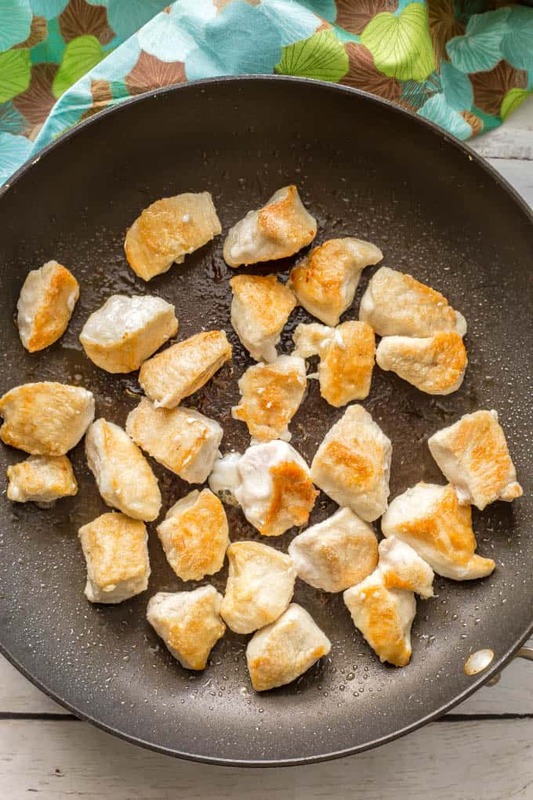 Combine chicken and cornstarch in a small bowl and stir to coat the chicken pieces. Add chicken and sear on first side for 3-4 minutes. Add the snow peas and 3/4 cup of the sweet and sour sauce. Stir well to mix and warm through, scraping up any browned bits on the bottom of the pan, about 1-2 minutes more. Add extra sauce as desired. 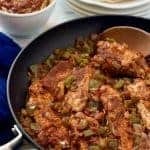 Serve warm over brown rice or cauliflower rice. 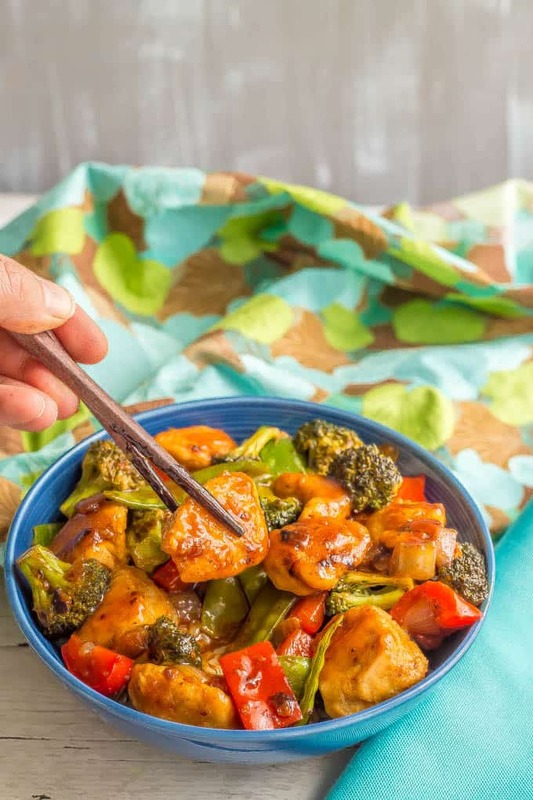 I use this homemade sweet and sour sauce — it just takes 5 ingredients and 5 minutes to make! You could also substitute a store-bought version. You’ll need to make the sauce ahead or work on it while the veggies are sautéing. 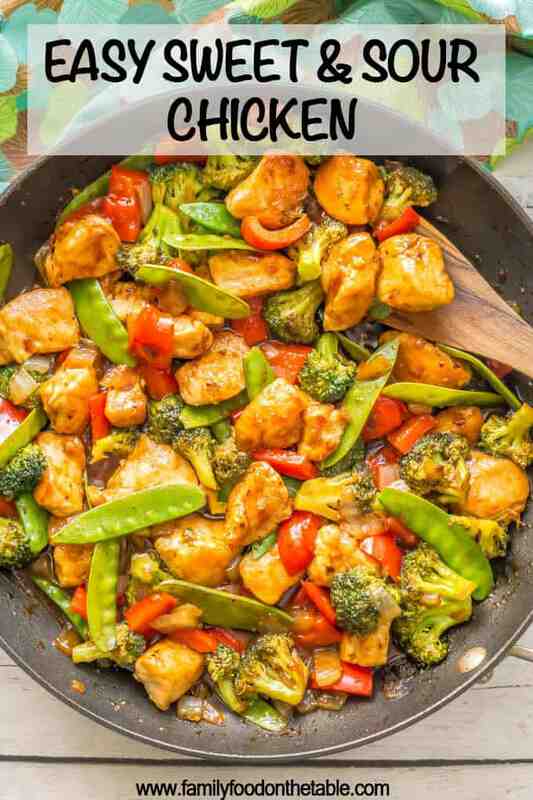 Feel free to substitute any of your favorite stir fry veggies. Mushrooms, carrots, water chestnuts and those cute little baby corn ears would all be great here too. You’ll want about 3 total cups of veggies. 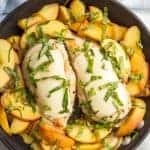 You can also add cut fresh pineapple to this recipe at the very end to get them mixed in with the sauce. We love this served over steamed brown rice or cauliflower rice. You could also stir in some cooked noodles (such as spaghetti or rice noodles) and maybe some extra sauce or pasta water to bring it all together. I just made your chicken recipe with honey and soy sauce. Very tasty! Thank you. Will you send me your sweet and sour recipe?